The Ritz-Carlton is the first luxury hotel chain to take to the seas with its new yacht collection. 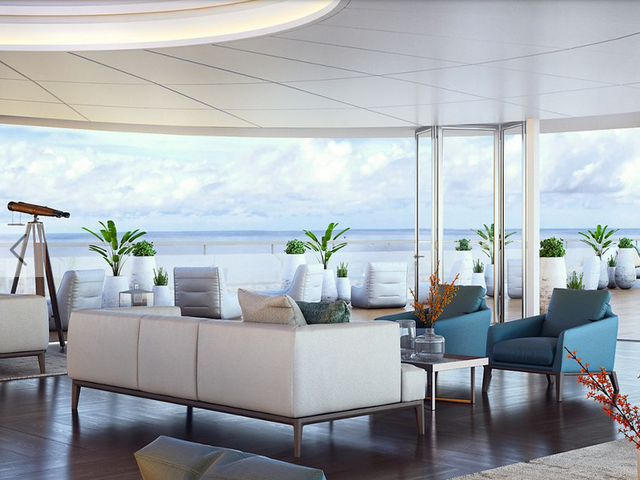 The Ritz-Carlton Yacht Collection launches in 2019 with the first of three cruising yachts. 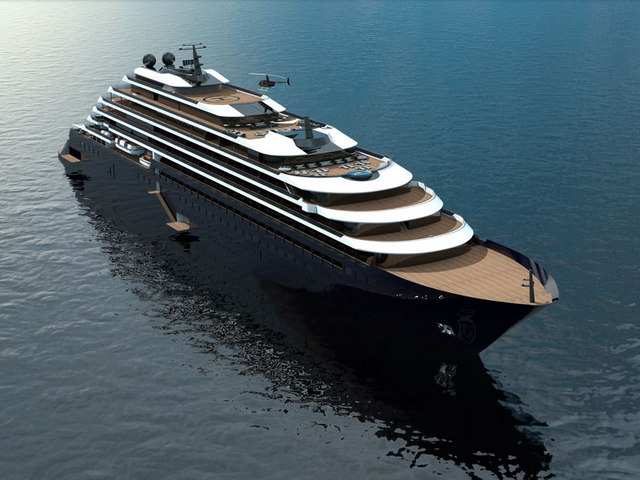 If you're already a fan of the Ritz-Carlton hotel experience, you'll feel right at home: legendary service, luxury amenities and beautifully designed spaces… now on board a specially designed, small capacity ship. It makes parent company Marriott International the only luxury hotelier on both land and sea. Each of the three custom-built yachts in the fleet features 149 suites, each with its own private balcony, several lavish duplexes, a spa, a signature restaurant and a bar with on-board entertainment. 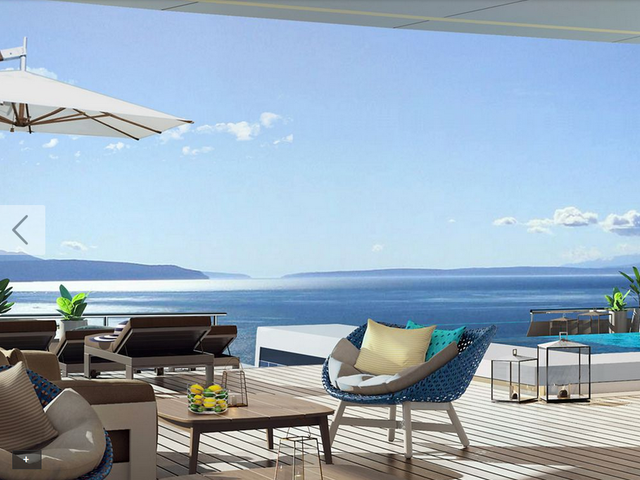 Mirroring the hotels, the yachts feature modern craftsmanship and style; the interior finishes are being jointly designed by The Ritz-Carlton and a leading cruise ship design firm to achieve the best of both worlds. At 190 meters (623 feet), Ritz-Carlton yachts will be able to call at ports not accessible to larger ships, from Capri and Portofino to St. Barths and the old town of Cartagena. The first ship will cruise a wide variety of destinations depending on the season, including the intimate and signature ports of call in the Mediterranean, Northern Europe, the Caribbean and Latin America. Upcoming 7- and 10- day itineraries aim to combine the lifestyle of The Ritz-Carlton’s luxury resorts and the casual freedom of a yachting vacation. Expect a relaxed pace that includes both daytime and overnight ports of call, as well as one-of-a-kind, uniquely-curated, customizable destination experiences through collaborations with local chefs, musicians and artists, allowing you to experience the locations in unique and personal ways, both onboard and ashore. Throughout your journey, you'll enjoy a cruising style that sets a new standard for ultra-luxury cruise and private yachting. The Ritz-Carlton yachts feature a restaurant by Sven Elverfeld of Aqua, the three Michelin-starred restaurant at The Ritz-Carlton, Wolfsburg; a signature Ritz-Carlton Spa; and a Panorama Lounge and wine bar, offering a wide variety of on-board entertainment. It's these amenities that tip the scales in favor of the Ritz-Carlton Yacht Collection experience even over private yachting options, ideal for independent travelers, small groups, or a full-ship group charter to celebrate one of life's milestones. 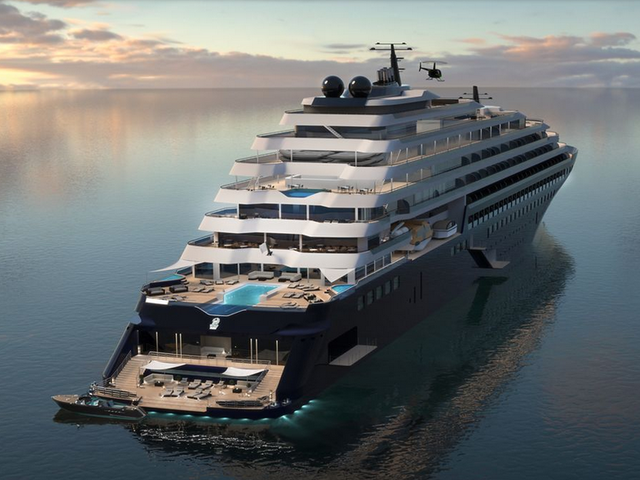 We're excited about a development that blurs the lines between yachting and cruising. We think the Ritz-Carlton Yacht Collection ushers in a whole new way of luxury travel and global discovery: a relaxed, casually elegant and comfortable atmosphere with the highest level of personalized service. The Ritz-Carlton hotel branding also naturally lends itself to pre-and post-cruise stays at ports of embarkation/debarkation in one of the 90 Ritz-Carlton hotels in 30 countries to seamlessly extend your trip under one beloved brand umbrella. But we also see these intimate, 300-guest yachts as a boon to corporate travel, too. Imagine company sales / incentives aboard a Ritz-Carlton chartered yacht! It's a cruise/ travel innovation that is both ground-breaking, but at the same time an obvious evolution in shaping the way we experience luxury travel. Reservations open May, 2018, but no surprise! there have already been charter inquiries.